If your clinic doesn’t, it should start. A well-designed survey provides your clinic with insights it can use to both improve patient satisfaction and improve marketing and lead generation. Like it’s said in business: “Data=Understanding”. It is vitally important to understand as much as you can about your patients, their experiences in your clinic, their satisfaction with treatment, and the reason they chose to come see you in the first place. This data gives you a springboard to use for marketing, advertising, quality improvement, and much more. That’s exactly what this survey is designed to measure. 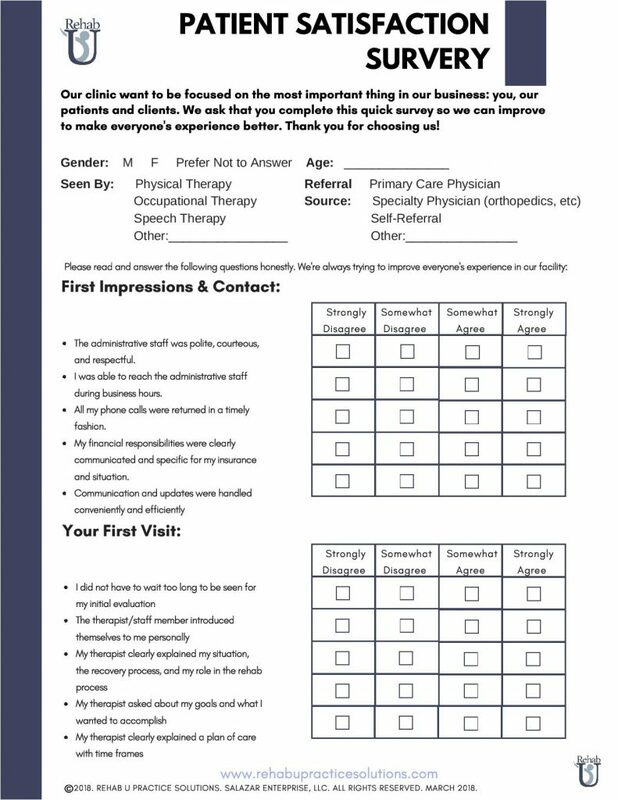 We hope this survey helps your clinic change the way it does business and improve to offer an outstanding patient experience!